TAS 174 : (Hot Seat) How Should I Launch My Retail Business on Amazon? A few episodes back Scott invited his friend, Chris Schaeffer onto the podcast to do a “hot seat” evaluation of an Amazon business to give advice on tweaks, changes, and adjustments to the existing product listings to ramp up sales. You’ve got a great opportunity today to hear another of those Hot Seat sessions – this time relating to an existing retail business that is trying to get onto the Amazon platform. There are some tweaks and tips you may have never heard before taken from Scott and Chris’ experience so be sure you listen. Would you like to be a part of a “Hot Seat” event coming to a town near you? Scott and Chris are already doing a hot seat event in Denver Colorado in May of 2016. But that event is already booked solid. They plan to do future events in cities across the United States. If you would like to be a part of 1 of those events, you can get your name on the notification list so that you will be among the first to know where and when those events are going to happen. Listen to this episode to find out where you can go to put your name on that list and being part of an event just like the evaluation and suggestions you were going to here on this episode of the podcast. Optimizing product listings is huge. On this episode of the podcast, Scott and Chris are taking a look at some existing listings of a retail business that is moving its products on to the Amazon platform. One of the first things I notice is that the product listings are not optimized as well as they could be. There is only one picture, very little in the description, and they suspect that the back in the keywords are not optimized very well. Looking at the company website, they see a beautiful presentation of the products that are offered and suggest using some of the same principles from the website on the Amazon listing. You can hear the specifics of what they suggest on this episode of the podcast. Images are powerful in presenting a profession product on Amazon. As Scott and Chris evaluate a product listing on this episode of the podcast, but they notice that the seller is not making the best use of the images on their listing. Their website for the products display all kinds of beautiful images, but very few of those are included on the Amazon listing. As well, the website includes many testimonials and logos from industry platforms where the products have been featured, and Scott suggest the seller create images from those and include them on the Amazon listing as well. You can hear more great suggestions like this for how to optimize your Amazon listing, on this episode of the podcast. How to figure out the keywords you should go after. On this episode of the podcast, Christie has asked Scott and Chris to evaluate her product listings. One of the questions she asks has to do with how to determine which keywords she should be trying to rank for. 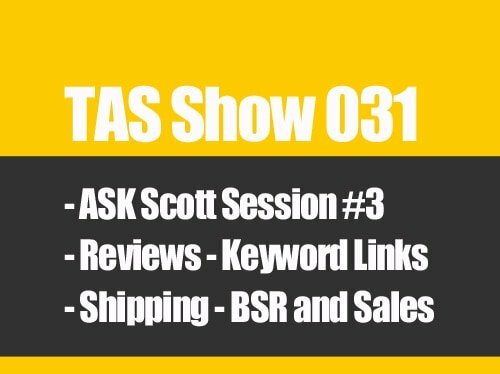 Scott and Chris suggest some great tools for her to use, and also how to use her existing website for the products to find even more possible keywords. Chris also makes a good point about utilizing the many variations she has of her product to find even more relevant keywords. It’s too complex to describe here, but if you listen to this episode you won’t have any trouble figuring it out. [0:04] Scott’s introduction to another “Hot seat” session regarding a real Amazon business. [1:30] The upcoming TAS Breakthrough Live event. [2:15] How you can get transcripts or all the episodes. [3:04] Introduction to the Hot Seat for today. [4:10] A retail company that wants to get going on Amazon. [11:30] Chris’ first thoughts about the situation. [12:40] Why optimizing product listings is one of the most powerful things you can do. [17:33] Scott’s suggestion about including testimonials and additional images in your description. [24:10] How to figure out the keywords you should go after. [27:00] How to approach PPC in a situation like this. [31:40] Using perception of value to display your pricing. [39:27] Optimizing the variations and keywords to match. [40:48] A good amount of inventory to begin on Amazon with. …attack it and to really go on the fly. We did this on the fly, we didn’t prep for it or anything. Again I’m prepping you for what you’re going to listen to but it was awesome because we were able to put our heads together and really start drilling down into this particular problem, okay, or this particular issue or struggle. Now, the question was and I’ll just give you the question but it’s really a lot more broad than this, is, “How should I launch my retail business on Amazon?” Someone that’s already currently has a business and now they want to take it to Amazon. Now, if you don’t have a business already and you don’t want to launch it on Amazon or vice versa, this is still going to be very, very beneficial to you because you can hear a lot of these different elements that you can plug in to your existing business or a business that you want to create, really, really important to understand that, all right. Just understand that what we’re going to do here is we’re really going to peel back the curtain and we’re going to be able to dive into a certain situation of a real business right now and give our advice and our opinions and our thoughts on what we would do. Now, let me just say this too, some of you that don’t know, Chris and I are doing a live event it’s called TAS Breakthrough live. Now, currently it’s totally booked. We have 30 people coming, 10 VIP hot seats that we’re going to be doing just like this but live. You can kind of say we’re training for this in a sense, right? People get ready for the fight or boxers get ready for the fight, right? We wanted to kind of do this so this way we can kind of prep for it and get into our zone if you will. Right. We just love doing these so I just wanted to put that out there. We’re doing this because we want to help people and we want to see how the whole format and the flow’s going to go. With all that being said let me remind you one last thing before we jump in. Let me remind you that all of the transcripts for this episode and other ones in the past are now available in the show notes of course and you can head over to theamazingseller.com/174 to download this episode of this hot seat. You’re probably going to want to do that. There’s a ton of gold and value bombs that were dropping throughout here that weren’t even planned, they just happened. We’d really advise you to check out the show notes by heading over to theamazingseller.com/174. All right, I am going to stop talking, we’re going to go ahead and listen to this hot seat session that Chris and I did talking about how should I launch my retail business on Amazon, enjoy. [00:03:06] SV: Give me a test, test. [00:03:14] SV: All right Chris we are back on again to do one of these hot seat sessions. I’m really excited to do this. I know the last one we did was really successful because a lot of people said that they loved it and that’s the ultimate thing here. How’s everything going on your end man? [00:03:32] CS: It’s going great. I managed to hurt myself in my sleep which is always good. [00:03:36] SV: I kind of hear you mentioned that before we got on here and it’s a little strange. I’m not sure you even want to say what happened. Do you want to share what happened? [00:03:44] CS: I have absolutely no shame. It’s funny, you do stuff, you lift weights, you run, you play soccer, you play basketball, I’ve never managed to break a bone but I somehow sprained my ankle sleeping and so I feel completely un-athletic and ancient at the moment. [00:04:01] SV: Oh yeah, you’re ancient all right. [00:04:02] CS: I’m sitting down to do this one so I think we’ll be okay. [00:04:04] SV: Yeah, that’s good. That is a funny story by the way. Spraining your ankle in your sleep. [00:04:11]SV: You must have been running or something. [00:04:13] CS: Scotty will love that one. [00:04:13] SV: Yeah, he will. I’ll have to share that with him. Let’s go ahead and let’s quickly discuss this. Now, this particular hot seat is coming in from someone that actually emailed me and her name is Katie. She has a brand that she sells retail and she’s actually a wholesale or she wholesales to retail stores and actually she has been featured in Cosmopolitan, other big magazines as well and also recently some of her active wear has been worn by The Biggest Loser Contestants. We’ve got someone here that’s pretty successful as far as being out there in the retail space so I’m really excited to discuss this because her big questions and I’ll let her ask the questions and talk about what she’s struggling with right now. But really what it is, is how to go from retail and then bringing product to Amazon and I think a lot of people don’t realize that this is something that the brick and mortar businesses struggle with. Chris I know you know this first hand because you help people with this as far as getting their products, that’s brick and mortar, to amazon. Isn’t that the case? [00:05:33] CS: That is the case and I really like working with people like this because she has the opposite problem that everyone else has. [00:05:39] CS: Most of the people in the TAS community struggle with finding a product. [00:05:44] CS: She has products that she knows sell online and that will sell pretty well on Amazon and so it’s just a matter of learning it backwards really. [00:05:54] SV: Yeah, I think this is interesting because anyone out there listening right now that has a current product or sells products on other platforms or in retail or maybe you make some organic type of thing, whatever it is there’s a place for you to start listing your products. Like Chris just said, a lot of the time the hardest part is finding the product. Well, now it’s just a matter of putting it on to another platform that’s selling or that has buyers that you could possibly start selling. I’m excited to dive into this one. There is a lot of, I don’t want to say questions but there is a lot of different things that we need to discuss here so let’s try to go through each one that she’s asking and try to give her some advice as far as what we would do and what we think that she should do moving forward. Let’s go ahead and listen to this question from Katie and she will go ahead and ask that and we’ll go ahead and go back and forth and give you guys our opinions and our advice. Let’s go ahead and listen to Katie. [00:06:58] KK Hi, I’m Katie Kozloff and I have an active wear brand for women sizes small to 3X. We right now are selling in about 50 brand specialty stores. We sell on [inaudible 00.07.09], I’m in a bunch of other websites but we’re mostly a wholesaler and I’m looking to get rid of our overstock on Amazon. Knowing that Amazon is this huge market place, there is so much opportunity for us to be selling our active wear at a good price and since this last season, there’s a bunch of questions that I have about how to do this. I’ve been working on it a lot myself but I have the rest of the business to run and I just want maybe get some insight into the best ways or next steps of where we are. Like I said, we do well with the retailers. One of my concerns, I guess, is that fine line between what our retailers have in their stores and not angering them with selling on Amazon. I think we should be okay because we are doing last season but I was just curious. I was thinking of Amazon now is more of a price bidding issue and that whoever is the lowest wins and I didn’t know how you feel if you have a high-end product or say again, if it was in season goods, we want to be able to sell them at the price we’re offering them in our retail stores. I just want to get a thought about that. Really, my real questions are, I’ve been doing the whole process, we’ve got our listings up. I tried to make them as optimized as possible, used all the bullet points, has all the pictures and have a good title. Now I’ve been doing the reviews with the coupons. I have the AMZ tracker and I’ve been doing the reviews and sending those out. I had a bad experience where I did use somebody from Elance and they gave these coupons out and didn’t require reviews and gave out a few thousand dollars of my inventory and we didn’t get any reviews for them. Now, as I’m going through this process myself, I’m trying to be very cautious because I lost a lot of inventory and I don’t want that to happen again without at least getting reviews. Yes, it most certainly bumped up our sales and was great in that aspect, bumped up our best seller ranking but then I realize that if you want best seller ranking also come lesser reviews and then we were out of inventory. I get that that was like a triple whammy of getting your ranking up, losing, getting all of your inventory wiped out and then not getting any reviews. That kind of backfired. The other question I have is with this listing I guess I feel like maybe our listing isn’t 100% the best it could be. Is there ways to figure out what words I should be using in our listing, the best items or look and see what are we missing, what’s our competition doing? Know what they are saying in their bullet points that’s grabbing attention or in their title that’s getting noticed or again getting searchable or the keywords or something. Is there a way to kind of see that easily and figure out why they’re getting found or why they’re getting bought over us? Also, we’re kind of stuck at this like two to three units a day which is great. We have reviews on everything now. Now that we have the reviews, the promotions I kind of want to know what the next steps are. We’re getting about two to three organic sales everyday but this has been going on for maybe a month. I wanted to know if there is any tips to what we should be doing next. Should I be doing pay-per-click ads now that we have reviews on each style? I’m still trying to figure it out again how those can be the best to get our sales going. Two to four units a day is great but we’ve been stagnant at that number for a while now and I was hoping to see it just increase even if it’s two to four, the five units, six units, just a little increasing every day. Right now we’re just very stuck. Then my last question is do we know how much inventory to keep at the FBA? Again, I’m trying to be cautious and not just overloaded because I want to have enough so we don’t run out so is there a way to figure out how much inventory we should be keeping at the Amazon FBA so we know that we’re prepared and ready but aren’t overloading it and having it stuck there. Biggest thing for me is when we settle our retailer so I need to have inventory that can ship to them. Those are my main questions kind of figuring out how to get the best out of Amazon and make it work for us so we can really grow. We have a product everybody likes. [00:11:49] SV: All right Chris, so what do you think? We’ve got a pretty good opportunity here to, well, she does, to really take advantage of what she has already going. What’s your first thought about what you just heard from Katie? [00:12:02] CS: I like it. I said it before we listened to voicemail and I just want to reiterate now. 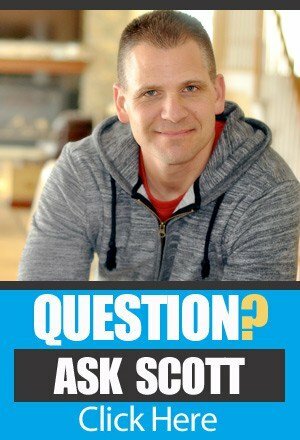 Scott, you and I get this question all the time from people who already have products and say, “Does this stuff work the opposite way?” Right? If I’m not looking for a product that’s specifically is to be sold on Amazon, if I have another product, can I take it and sell it on Amazon and the answer is absolutely yes. Now, she does have some caveats here because she doesn’t want to compete with the other people who are already selling her product and some of those kinds of things and it sounds like she at least started down the path. She has some listings loaded, she did a launch but it didn’t sound like it worked out too well and she is selling and that’s actually one of the highlights of that, that she kind of glazed over is that she is actually selling. She’s not happy at the two, three units a day but she is selling some stuff so there is a sign of life there at least which is kind of cool. One of the things that I noticed and Scott, you and I dove in a little bit and looked at some of her listings is that it looks like she’s taken what she’s learned in other e-commerce platforms and applied it to Amazon. While that’s a good place to start, that’s not necessarily the way that Amazon works. Amazon is kind of a little bit of a different beast so the way that you would write your titles for an e-commerce site, like your own e-commerce site versus how you write them on Amazon is a little bit different. The biggest take away up front at least was that she has done some optimization but I think that there’s a lot of work that can still be done in terms of optimizing her copy. What are your thoughts on that? [00:13:31] SV: Yeah, I know and the very first thing that I notice when looking at her listings was yes, the product is there but that’s all it is. It’s there. It’s not really optimized. There’s like one image on most of them and I’m looking at the website right now and she said that I can share the brand. It’s KatieK Active is the name of the brand so it’s KatieK Active and I’ll leave a link to her main page which I’m looking at her website right now. I’m looking at the sale items and it does look like clearly that she is selling her own products on her own website so she has an e-commerce store already built. She’s got a pretty active Facebook page. She has Pinterest; she’s got all of the things in her favor. The way it looks like to me right away is I’ve got product, I can sell it on Amazon, let me just quickly, put up alisting. That’s what it looks like to me, okay? I think that you should take the same amount of love that you would give your own e-commerce store and give that to each Amazon listing as its own. All right. Now, there is a ton of beautiful images on the website and I’m looking at them right now but I also see a quick view like if you go on there, you can go ahead and start looking through some of these different images back, front, side, right. I would try to incorporate more images, not just the one on a white background, right. That’s the main thing that I see right away. The other thing is and you and I both talked about this is like it’s great to put in the brand name, which I think that’s fine but then definitely take advantage of the title so this way here you can have more items that you can be found by, the bullets, the same thing. I think you can be talking more about the benefits and the features but more about the benefits. You might even want to put in there “Featured in Cosmopolitan” or “Featured on the Biggest Loser” Those things are huge. If that’s the case, why not use that authority to help sell your product? If I didn’t know that, if I was going to that listing, I would not know that this was featured anywhere special. Chris, what’s your thoughts on that? [00:15:37] CS: That’s actually a really cool idea and I think maybe one of the secondary images might be a good place to even showcase that, right? [00:15:43] CS: Hey, if you can get a shot of your pants with the guy, from whoever the trainer is on Biggest Loser coaching a person in those pants or a shot of you in the spread of Cosmo and figure out how to work that into one of the secondary photos, you can’t do that in the primary photos obviously but you could do that in one of the secondary photos, that would lend a lot of credibility and I think the thing that a lot of retailers struggle with when they move on to Amazon is that unless you’re like a Sony or an Apple, Amazon isn’t necessarily going to be brand driven. It’s much more like Google where somebody’s going to type in Capri pants or workout pants. Unless it is one of your customers already who is happening to come to Amazon to look for your thing, they’re not going to be necessarily typing in KatieK, right. The place that I see this and Katie, I think you fell to part of this as well is in the title. Everybody in the TAS community that I see do this, I see a lot of people inside the private label classroom as well Scott, they throw the brand name on the front of the title and they actually take up a lot of that really powerful keyword real estate with their brand name instead of using another way to talk about whatever the product is, in her case the pants, right. Her name is right under that so even just removing that from the title would give her another 9 or 10 characters in the title to really help to drive that keyword optimization as well. That would probably be the place that I would start and you touched on it. 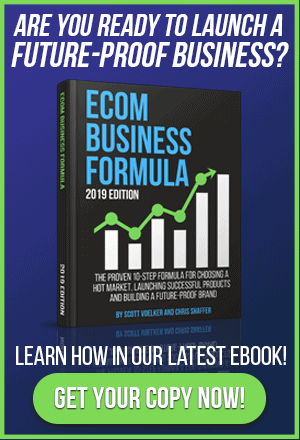 You got to give them a little bit of extra love and I would say probably even more so than you do on your own e-commerce site because it is such a different animal than even selling on your own site because a lot of those people are going to be familiar with the brand. You do have to do a little bit more in terms of helping people understand everything that your clothing line is on Amazon because they don’t necessarily have any idea who you are or what you’re about so you have to do a little bit more of that education because you’re not on your own platform. Does that make sense? [00:17:43] SV: Yeah, it totally does. I’m looking at her site right now too and I see a lot of like ambassadors. Right. They have #definebrave so there’s like you’re putting faces of KatieK, right and you’re putting maybe some testimonials in there. That stuff, I would put that in the description as well. I would try to highlight. You have so much that you could be using to really build some credibility and some social proof and all that stuff. The other thing is if you have, and again some people might not want to do this but this is just a thought, just an idea Chris and I are here brainstorming, if you have a customer list already of your own and you’re doing this as a closeout for last year’s models or last year’s designs or whatever, right, well, yes you can send them to your website and you can go ahead and make that sale without paying FBA. If you’re going to run a promotion through a review group, why won’t you run it through one of your email lists in your own business? Right. Give them a small discount to go on there with a coupon code and then mention that you would like a review if they get a chance “Leave me a review” or whatever in there and this way here, you’re capitalizing on your audience that you already have and yes you’re not getting the sale on your own e-commerce but you’re trading it off with how much you’re paying in FBA fees for a review from someone that’s already been on your site or already been a past customer. Chris, what your thoughts on that? [00:19:21] CS: That was going to be the next point on my list. Scott, you touched on something that was really kind of interesting. She does a really good job of defining her customer avatar on the site, right. She basically says in a couple of different places, this is who this clothing is for. She doesn’t say it that way but that’s like the #definingbrave. Everything in that section is who her audience is. [00:20:21] CS: Because you’re targeting your list, right? [00:20:23] CS: Those people have probably already bought from you. They already know who you are. You’re just driving them to the Amazon listing. Now, the thing you may want to be careful of with that obviously is you don’t want to do that over and over again because you do want those people, you already own that audience. You want them to come back to your site to buy the new stuff but if you do that a couple of times upfront to do some of these promotions to get your basic reviews, I don’t see anything wrong with that. You can probably actually make a little bit more during that process because you wouldn’t have to do it for free. You could do it at 50, 30, 20% off. [00:20:52] SV: Yeah. I love that. Going back to the images, I mean, I can see like a simple thing right now is to take … Like I see there’s three images on the website that says, “Meet the faces of KatieK active,” right. It goes through and it says testimonials and it has a picture of a woman and it says “I am a #definebrave ambassador KatieK.” Right. Then we had another one, another girl that has boxing gloves on that says, “I’m a #definebraveambassador. I would put those images into my images on Amazon, right. I would put that in there to show that you have these people that are strong ambassadors that love the product. If you don’t want to use the image but you want to use the copy of the testimonials, then maybe just take the persons face or whatever so that way you’re not saying this listing has this item but yet you’re advertising something else. You don’t want to go down that route but I love the idea of having the ambassador there that gives a really strong credibility to it and having that in to the images. .
Just going back to the images, I think that the images, especially in clothing and stuff, we want to see it wore but we also want to see different angles. We want to see a face. I’ve seen some of the yoga pants that all you see it from the waist down. Yes, I get it, that’s what you’re buying but then have another one of a woman doing a workout routine or have her posing full body or you see the face because we all love faces. I think that’s a huge thing that you can do almost immediately and it’s going to help just fill out the listing but also make it look more like it wasn’t just thrown together. That’s my take on the images, Chris? [00:22:36] CS: I think that’s something that she’s already done really well on her site. [00:22:40] CS: I just pulled up a pair of the Capris on her site and it looks like the only image that’s uploaded on Amazon of these is the lower half body image like you said. But on her site she has that and then she has two people wearing them doing a workout outside and then you get the back and the full body kind of a view. That really helps sell it because the thing that we have to remember when you’re buying clothing especially online, you don’t get a chance to try it on so you have to see a couple of different angles, you have to see all of those kinds of different things that you would look at in the mirror if that makes sense. Having those different angles and people doing different things especially with something like clothing really starts to put you in the place of understanding how it’s going to look on you, if that makes any sense at all. It helps with projection of the customer into what it would be like for them to wear those pants. [00:23:36] SV: Yeah, yeah. The other thing I just want to mention here too, I just scrolled down on the homepage and right on the very front page and obviously Katie, you know that you’re supposed to do this because it’s building the credibility and the authority, you have KatieK active has recently been featured in the Curvy Fashionista or whatever, Bustle, the Huffington Post, BuzzFeed, Dailymail.com, Cosmopolitan. All of these major brands or publications you’re being featured in so why wouldn’t you put that same stuff on your Amazon listing? Put that one little image that you have that’s at the bottom of your homepage that has all of the stuff that you’ve been featured in and make that one of your images. There’s nothing wrong with doing that, you just can’t make that your main image. That’s what I would do, I mean right there alone. Chris, let’s dig in now that we’ve kind of built up everything that she has already that she can put into the Amazon listing with a little bit of work. Let’s talk about like she was saying, “How do I know what keywords I should be going after?” My first thought on this and I’ll have you go but my first on this is number one, you should have a pretty good idea who’s buying those pants, who’s buying that top. You should already have a pretty good idea not just yoga stretch pants. It should be specific. What makes your pants or your top or whatever special? What is your avatar? What do they look for? What are they looking for in that particular clothing? Right. Those are the things that you need to put into your title or into your bullets or into your description. Now, another way that you can do it because obviously Amazon is a little bit different than your website but what you can do is just start running some pay-per-click on a few of your more popular listings let’s say and just start running on auto campaign and then pull back the data from there, okay. From there you’re going to see what Amazon feels as though your product should be positioned in front of, it’s by those keywords. That’s going to give you a little bit intelligence. Then I would also go look at my competitors and I would see the ones that you’re competing with in this category, okay and then from there I would probably even go and run a keyword, a reverse ASIN on like using simple keyword tool. If you guys are listening to this and you don’t know what these tools are or anything you can just head over to the resources page. That’s theamazingseller.com/resources and you can find that there. I would just take two or three different listings that you feel are doing pretty well and I would reverse the keyword search and then I would just start using those and I would see how that would go but I would definitely be using pay-per-click in this. I would say that’s probably going to be a huge advantage for you, Chris? [00:26:27] CS: I would actually start in a different place Scott. I would start with her website. She has Google Analytics, at least I hope you do Katie and if you don’t please, please, please install it. I would look with what’s driving search traffic there first and you can compare that to who’s actually buying it. Right. She can get some keyword ideas. Now, they’ve gone through some changes, they don’t show you everything but that’s at least a good place to start. I would start with that because you can actually look at what keyword drove sales. Outside of that then I would come in and the very next thing I would do is exactly what you just said and it’s pull up the top ten competitors and just throw a quick glance at them. They’re doing some of the things in their titles that you and I talked about earlier, right? There is a couple different main keywords for how people would search and describe these, not just kind of the one that Katie has used so far. Running some reverse ASIN searches on those would go a long way I think to helping her develop that keyword list for when she goes to rewrite her copy and also for pay-per-click. I know she also asked us if PPC is worth it and it absolutely is especially in a category like this where you are going to have heavy competition and a lot of it is going to be based off either the look or how in front of that person that you are. I think she’s going to have to watch it a little bit more closely than some of the people in the TAS community might but it’s definitely something that I would do and it’s going to be a good advantage for her because she’s going to be able to share the lessons that she learns both from her website and from Amazon to the other platform, does that make sense? [00:28:04] SV: Yeah totally and going back to your Google Analytics, I think that’s a great idea. What you can also do is just take your website address and then take and copy that into the keyword planner as well and that will do a pretty good suggested keywords. It will give you a bunch of those just by looking at your content that’s on the blog already and then it will start giving you more suggestions so I would do that. But I definitely think that this particular product line that she’s going after is kind of like the women that are losing weight but might still be on that path to losing weight so they’re going to be a little bit oversized, right? I think that’s the market that you’re going after and you probably already know this Katie but you want to be laser focused on that. You want to be laser focused on that avatar. Who is it that’s buying this clothing? Then really positioning that message to call out those people? That way there there’s no question, right? It’s made for them, right and you need to convey that in your Amazon listing as well. If I look at your one listing here, I see KatieK workout urban leggings for women. Ankle-length wide waistband leggings, that’s it, that’s what I got, right. But if there was something in there that talked about whatever it is that your customer is searching for, not just KatieK workout urban- yes, if I know of you then I’m going to maybe search KatieK workout leggings or whatever but if I don’t know you, that’s what we’re thinking here. Let’s pretend no one knows you and they find you then KatieK doesn’t mean anything other than your brand but the workout urban leggings, that might mean something or ankle-length, wide waistband leggings, I’m not sure if that means anything but you know what means something so that’s what you want to put there’s so when someone is scrolling or someone is searching, they’re going to find that and see that and then that’s going to allow them to find your image. The other part of this is when they see your image you want that main image also to really knock it out of the park. I think that the main image that is on this particular one is okay but then I think on the next image I would want to see another image of maybe it full length so you can see the person’s face and then maybe a side and then maybe a back and then maybe even zoom in on the ankles and how they’re constructed and why they are good, you know what I mean? Trying to show detail of the product, not just like one image. Chris, what do you think? [00:30:44] CS: I think that makes a lot of sense and just looking through a couple more of these listings, there is room even if you didn’t expand your bullet points which I think you can do without having the big blocks of text that kind of intimidates a lot of people. It’s 88% polyester 12% spandex. I’ve seen a couple of listings on here that have that as two different bullet points so you can take and incorporate a lot of those things which comes back to she does a really good job on her site and I said this earlier of defining that customer avatar and you just need to convey that whether it’s in the bullet point or in the product description or even in the photos, right, through incorporating some of those things. You need to start to do that on the Amazon listing because that helps you niche down within Amazon itself. Let’s say your price is $59. Let’s say suggested retail price is $79, right, then you should have suggested retail price and that is manufactured price basically, is going to be $79 but then you’re going to have your price and it’s going to show a strike out in that and then it’s going to have a savings next to it. You save $29 or $20 or whatever, right. It’s going to show that. Subconsciously as a buyer, I want to see that I’m saving some money and Amazon is all about getting the best price. Right. Without you really having to cut your price, show what the suggested is and then show your retail is or your sale price is and then that will allow you to show that sale price or the strike out of the old price and then what the new price is and then you’ll see the percentage that you save. What do you think about that Chris? [00:32:48] CS: I like that a lot I think and it’s something that she brought up in the voicemail as well. She said she does not want to compete with the retailers and that she thinks that Amazon … She has the common misconception that Amazon is all about the lowest price. While price is a driving factor, it’s not necessarily how low the price is, it’s the perception of value, does that make sense? Doing what you just said and saying, “Okay, well, if I’m going to sell it for 59 realistically I could sell it for 79 or whatever those numbers work out to be.” That perception of value is significantly higher and if she does some of those other things like fix the title, add some additional photos to showcase the different angles and showcase some of those things, doing that pricing strategy will also go a long way to helping to drive even clicks on that listing initially, right because they’ll see all of those different things. One of the other things that I saw just scrolling through the results on Amazon and Katie it’s just something that’s like a nitpicky corrected thing, some of them just say KatieK as the brand and some of them say KatieK active so we may want to unite these just as … It’s not necessarily an optimization thing it was just a cohesion thing that I noticed. [00:33:57] SV: I like that too. I think KatieK active is the brand so that’s what should be in there for sure. [00:34:05] CS: That’s going to be a keyword that people will use occasionally right? Active wear, all those kinds of things so it helps you fit that expectation when they land on your listing and says buy KatieK active. [00:34:15] SV: Yeah and I’d be curious too Katie on the backend of your listing, how well you’re optimizing the search fields. Right. You have the search fields and in those search fields you’re able to then include all of your really strong keywords. Right. That’s another place to where you can start to be found and I would definitely make sure that you’re utilizing that by doing like we said, number one if you have a list, a handful, a list or whatever of your keywords that you know that you want to rank for, those should be in there without repeating them. Again, anyone that’s brand new, we’ve talked about this before with optimization, you don’t want to repeat the keywords in the front or in the back so just use it once and then move on. They don’t have to be in any order or anything like that. They just need to be spaced apart. Definitely make sure that you’re utilizing that and then like I said on the images I would definitely put something in there that also gave you credibility about being featured in these other magazines to again build this credibility. I would also use testimonials in my description somewhere and I would try to break that up and I would try to make it so you can scan the description and not just so it’s a blob of text. I know that you’re not supposed to, I’m using air quotes, use any html as of right now, I still believe that you can use the paragraph break, is that correct Chris? [00:35:44] CS: Paragraph break. I knew what you meant. [00:35:49] SV: The breaks, yeah, exactly. I mean to put little breaks in there I think is important to be able to scan it and also highlight those few testimonials that you want to put in there. You don’t have to put tons, just put one or two. It just looks nice. It also shows that people are talking about their experience with it. Again, I’m just looking at the bullets on this one and they’re good, they’re fine. It tells me what the features are but what are the benefits? I don’t see a lot of benefits here. I see 82% polyester, 18% spandex, that there is a feature. It’s not really a benefit. Imported, I guess it’s a feature I’m not even sure what that would be. UV rated, 50+, I guess that’s a benefit, discreet right side pocket, that’s a benefit, moisture wicking, that’s a feature I guess, maybe a benefit. [00:36:42] CS: It’s a benefit. [00:36:42] SV: Yeah because if you think about moisture wicking, what does that do for someone? It makes it so that they don’t sweat so much. [00:36:50] CS: That’s something I was going to say, these are all mostly features but they can easily be rewritten as benefits. [00:37:30] CS: How would you do that Scott? Like moisture wicking colon and then why it matters or dash, what matters. [00:37:44] SV: After a hard workout, during your workout and after keeps you dry and not sweaty. [00:37:53] CS: Then you mentioned was like a right pocket. Right. [00:37:57] SV: Yep, discreet right-side pocket. That’s actually a really good feature and a benefit that can actually help her stand out, I don’t know, with her competition but I do know that’s a common problem with women’s clothing, not that I wear women’s clothing. [00:39:10] CS: You’re doing the same thing in the copy that you’re doing in the photos. [00:39:15] SV: Yeah, you’re just explaining it. [00:39:17] CS: It’s the projection of what it’s like to actually be wearing these. [00:39:21] CS: Scott, before we get completely off of it, you mentioned something earlier that we kind of take for granted when we’re starting this the other direction and that’s the keywords. You said, “I’m curious what the backend optimization looks like.” A lot of things that people miss with variations is that every size and every color counts as a different listing. Just in this one that I’m looking at she’s got small to 3X and then she’s got four colors so she has one, two, three, four, five, six, seven, seven times four that’s what, 28 listings if I can do math at all. I’m sure all of my math teachers are cringing right now. That’s 28 completely different sets of keywords that she can use. [00:40:03] SV: Yeah, there’s a lot there. [00:40:04] CS: That’s really powerful and I guarantee you your competition is now taking advantage of that, I guarantee you. Katie, right now I bet if you’re using that keyword section, I bet you’re using very similar or the same keywords across all 28 of those variations. I’m willing to bet that there is a lot of wiggle room in there in terms of what you can use because they’re all grouped together. If somebody clicks on the coral with black and they are actually looking for something that’s blue, they can still get that in your listings so you don’t have to worry about trying to cover all of your bases, optimize each thing individually and I know that it sounds time consuming and that it sounds like it’s going to take forever but once you get the hang of it it does go pretty quickly. Once you do it, you’re done, right? [00:40:51] SV: Yep. All right, we’re going to start wrapping up here Chris but the one last thing I wanted to mention here or actually two quick things. How much inventory to start and keep at FBA, that was the other question. My first thought is well, right now you’re selling let’s just say that you’re at five a day. Let’s just say five a day so at five a day, you’re going to multiply that by 30 days. You want to keep at least 30 day supply in there and then probably a few extra weeks just to be on the safe side. If you start to see your numbers go up well, you control the inventory so then you ship in some more. It’s going to take less than a week to get in stock so that’s the advantage that you have. I wouldn’t send in too much but I would send in enough to do the five to seven units per day and then if you start to see one starting to really take off then just start to add it as you need to. I wouldn’t keep more than a month, month and a half in stock of the projection of what you’re going to do. I know it’s kind of hard because you’re hoping to get more but you’ll be able to slowly start to see that, to how much you’re starting to sell. In worst case if you did sell out, then you sold out and then you just got to replenish it, not the end of the world. That’s that, Chris, is there anything else you would add to that? [00:42:32] CS: If for some reason and one of the things that she kind of expressed in that question is like “What if my manufacturer or wholesalers need it?” You can pull that inventory back if you need to. [00:42:40] CS: You have somebody that wants to buy all 90 of them from you, you can pull it back. It’s a very incremental cost. It’s basically just the cost of having it shipped back to you from Amazon which is cheap and then you can do whatever you want with it or you can do a fulfillment order from the Amazon back end and just send it directly to the supplier. [00:42:56] SV: Yeah, totally. Okay, so the last one is and we kind of touched on this but we’ll just touch on it one more time, are sponsored listings worth it and are they different than pay-per-click ads? The answer is they are worth it. I think Chris and I both agree on that and they are not different than pay-per-click ads if we’re talking about inside the Amazon platform. If we’re talking about Facebook ads and their pay-per-click, that’s different. If we’re talking about Google, that’s different, we’re talking about Bing, that’s different. We’re not talking about that, we’re talking about pay-per-click ads inside of Amazon and that is the sponsored listings or the sponsored ads that you see. Now, there are other ones when you’re a vendor express which we won’t get into that stuff. There’s other opportunities to be at different places but right now I would say focus on Amazon pay-per-click, that is the sponsored ads, the sponsored listings and that’s what I would focus on. As far as like getting the data, that’s like the number one thing, to get the data of what is actually being put in front of these customers and what people, aren’t clicking on. That’s going to give you the data to move forward. [00:43:57] CS: All of the keyword stuff that we talked about earlier is kind of the best guess, right. Pay-per-click is going to give you the actionable data so you just start with some of that competitive analysis, some of that keyword research, use the keyword planner, the reverse ASIN serarch all of those kinds of things and then once you start running PPC, you can take what’s working there and apply those lessons because those are going to be the biggest, most impactful dataset that you’re ever going to get back from amazon. [00:44:26] CS: They don’t tell you from what you’re selling from organically but they do tell you everything that you sell from paid so you can start to see those trends just by using sponsored listings. [00:44:37] SV: Exactly. All right so I think that is going to wrap up this session. Chris, we did pretty good, I know we are trying to getting our, what do I want to say, our training. We’re training for our live event. We’re going to be doing a live event in May 1st that is where we’re going to have 10 hot seats just like this and we’re going to give 30 minutes to actually go through and answer. I think we did okay we’re maybe a little long. We might need to trim that back a little bit if we’re going to get all of them done in one day but this is a lot of fun. I know you and I both enjoy talking about this stuff. I’m excited Katie for you. I think you have a great opportunity here. I think you just have to tweak a few things and then from there just apply it and do things as they happen. As things start to change, make the adjustments, try new things, test new things but I think that you have a really great opportunity here to take advantage of so definitely keep us posted on that. Again, if you guys are not attending the live event which there’s only 30 of you that are, we have 10 hot seats. It’s already booked but if you wanted to sign up for a future one, a live one that is, you can head over to theamazingseller.com/live and you can get on the notification list there. We don’t know when the next one will be or where it will be but if you are interested, you could always jump into that and we’ll let you know as soon as we know. The other thing you can do is if you wanted to hang out with us on a hangout just kind of like this where we answer live Q&A and we also walk you through the five phases of launching a product, you can head over to theamazingseller.com/workshop. Chris and I get on there and we do a full, well just about two, two and a half hours’ worth of teaching and then doing live Q&A. It’s always live and again you can register for an upcoming one there at theamazingseller.com/workshop. Chris, is there any last thing you want to say before we say goodbye? [00:46:29] CS: I think you covered everything that I would want to talk about so I think we’re good to go brother. [00:46:33] SV: Awesome, that is really good. That was clean. I was figuring you would have something else to say. All right so that’s going to wrap it up guys. I want to again remind you guys that I’m here for you, I believe in you, I’m rooting for you but you have to, you have to, … Come on say it with me, say it loud, say it proud, Chris you say it with me now too, ready? “Take action.” One more time Chris, come on, “Take action.” All right, have an awesome amazing day guys and I’ll see you in the next episode. www.TheAmazingSeller.com/Resources – get resources from Scott’s site. www.TheAmazingSeller.com/live – get on the waiting list for the next live hot seat event. www.TheAmazingSeller.com/workshop – get signed up for the next workshop! thank you Scott that is really encouraging! thanks scott! what exactly are u meaning to say that its a grey area? if i may ask u are u personally doing super ulrs for your giveaway? I never ask any questions or seek advice which maybe I should, but i wanted to ask what your ideas are on bundleing ? Do you think it is a good idea or have you seen this work really well on Amazon ?? Thanks Scott for the podcasts I listen all the time to them..
Hey Gareth, bundles work amazingly well on Amazon. If you go back and listen to the episode I did with Rich Kibble, you’ll get to hear all about how he made his work! meaning to say? is it safe or not? are u personally doing super urls if i may ask? I did, In my most recent promotion. hi scott first of all thanks for all your episodes i really enjoy it! i have one question for u is super urls against amazons tos? Hey Alex, it’s not specifically outlined, so it’s a grey area, go with your gut on that one! Just wanted to chime in as this is right down my alley! Another Great Episode as always. Checked out the Katie K Active, And for certain Katie K needs get a a lot more active on her own listings!. Unfortunately its Very beginner, non-seasoned listings but has a great starting point and potential. Kate’s listings just need some TLC and everything will be good to go! Beside the obvious (title, pictures, bullet points & description) I would suggest that all her listings require a size chart and size description in the bullet points as this is big part of when listing clothing and for any potential buyers. Obviously listings require more generic photos, some active lifestyle photos to be optimized but those came be transferred over from Kate’s website. For Kate’s variations (child asin’s many times their is a mix of either a “color swatch box” or “model with color t-shirt/pants” I would rather see using only model pics and skip the swatch boxes. I also don’t see any focus on her brand logo and or branding. Needs to have photos with her logo present, so buyers can relate to her brand. I would bank on it that all active lifestyle buyers know the “lululemon” logo. You have to start building your brand and it all starts with the visual logo. Looks like some more keywords/search terms in the title would boost sales. Again all Kate’s branding will vary as some say Katie K, some say Katie K Active in listings. For sure needs to have some HTML in bottom description. Anyways hope this adds to your podcast and that Katie gets something out of it. As we have been listing and selling clothing on Amazon for years we started with all the same issues, but now every thing is optimized as clothing is an amazing category for us.